Waterproof volleyball is great for all-conditions play. Soft cover with cool graphics kids love. Durable cover can handle multiple surfaces yet is soft and virtually sting-proof. Heavy-duty stitching and durable air bladder, floats for easy retrieval. 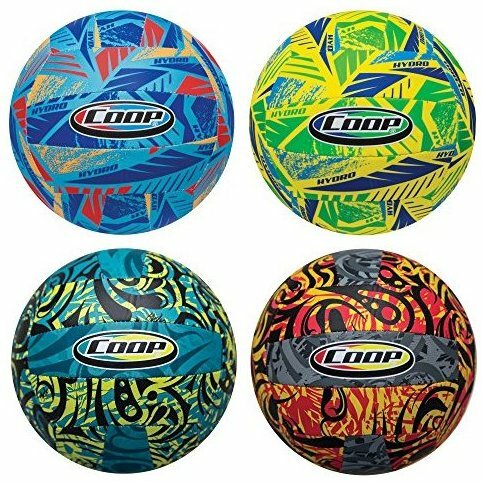 Includes 1 volleyball in either blue, green, red, or yellow - color you receive will vary.